THE Irish government faces a potential High Court challenge over the terms of reference for inquiries into Garda handling of four suspicious deaths. The families of Patrick Nugent, James Clancy, Shane Touhey, and John Kelly, who died in separate incidents between 1984 and 2008, were granted a statutory inquiry under Section 42 of the Garda Síochána Act last year. But now the families are set to launch a High Court challenge unless the terms of reference are changed to address what they believe is a failure to comply with obligations under the European Convention on Human Rights (ECHR). Belfast-based law firm acting for the families KRW Law, which was involved in high profile cases of alleged police misconduct in Northern Ireland, has written to Justice Minister Frances Fitzgerald and her Department warning that a judicial review could follow. Kevin Winters of KRW Law said Article 2 of the ECHR, which places obligations on the state to investigate suspicious deaths, had been widely tested in Northern Ireland and Britain but not in the same way in the Republic of Ireland. “This is completely new territory. This is the first time for the Irish government to be challenged on its obligations under Article 2 of the European Convention on Human Rights in this way,” Mr Winters said. Mr Winters further told The Detail that the Justice Minister’s assertion that Article 2 is not engaged in the inquiry process is “erroneous”. The exclusion of Article 2 from the terms of reference, he said, would have a “detrimental effect on the entire inquiry process” and also “work an unfairness into the final report” which the Minister will ultimately have to consider. He said that an injunction may also be sought to prevent the Department proceeding with the inquiries or publishing the inquiries’ terms of reference until such time as a judicial review is heard. The judicial review will be triggered if the department fails to respond to the families' concerns by this Friday, March 31st. A spokesperson for the Justice Minister did not comment on the threat of legal action but confirmed that Minister Fitzgerald had ruled out Article 2 in the scope of the inquiries. The department said the families involved were advised of the “proposed scope” of the inquiries, which under the Act, could “inquire into any aspect of the administration, operation, practice or procedure of the Garda Síochána, or the conduct of its members". “It has also been explained that the Tánaiste does not accept that Article 2 rights have been infringed in these cases,” the spokesperson added. The republic's Policing Authority was consulted on the draft terms of reference for the inquiries and department officials are seeking further advice from the Attorney General. 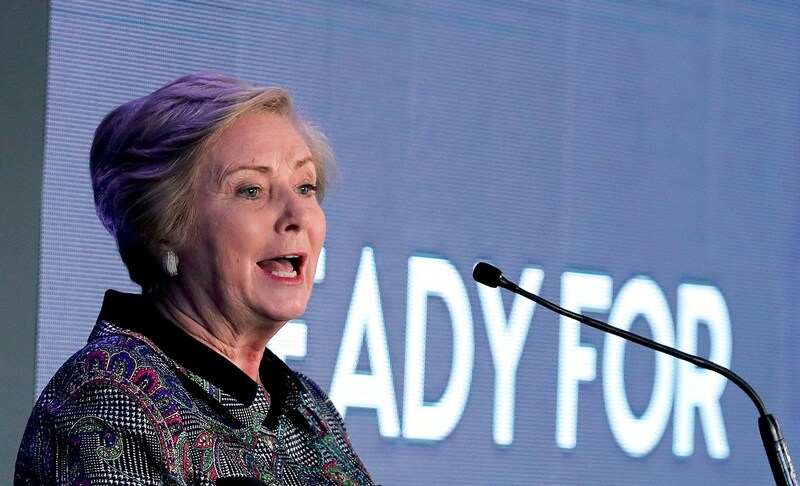 “The Tánaiste is in the process of identifying suitable persons to conduct these inquiries and expects shortly to be in a position to proceed to their appointment and the establishment of the inquiries,” a spokesperson for Minister Fitzgerald told The Detail. “It will be for the person conducting each inquiry to decide on how they will be conducted and the role of the family in each case,” the spokesperson added. 23-year-old Patrick Nugent was fatally injured in the Folk Park near Bunratty Castle, Co Clare in February 1984. It is alleged that his death was not properly investigated. James Clancy, a man in his 80s, was struck and dragged by a truck in a hit and run at Hayes Cross Tullamore, Co Offaly in 1988. It is alleged that Mr Clancy’s death was not properly investigated. 23-year-old Shane Touhey was found dead in the River Brosna outside the village of Clara, Co Offaly in 2002. Questions remain over the investigation into his death. 24-year-old John Kelly died in the Dublin Docklands In October 2008. The Kelly family believe his death was not properly investigated. The four contentious killings were among 320 cases reviewed by a government-commissioned panel of legal experts established in 2014 to consider allegations of Garda misconduct or shortcomings in investigations. These Section 42 inquiries are among 20 cases from the Republic recently taken on by KRW Law. “We’re dealing with a range of cases that touch upon alleged state failings generally and Garda failings in particular,” Mr Winters said. In addition to the four special inquiries, other cases taken on by the firm relate to alleged wrongful arrest, unlawful detention, or wrongful prosecution.